The official trailer and two posters have been released for the crime drama "The Drop". The film is directed by Michaël R. Roskam ("Bullhead") and it's an adaptation of Dennis Lehane's short story "Animal Rescue". Lehane is the author of "Mystic River", "Gone Baby Gone" and "Shutter Island". He also wrote the screenplay for "The Drop". Tom Hardy stars as a lonely bartender who finds himself at the center of a robbery gone awry and entwined in an investigation that digs deep into the neighborhood's past. Noomi Rapace, James Gandolfini, Matthias Schoenaerts, John Ortiz and Ann Dowd also star. For the new international trailer, you can go over to Empire. 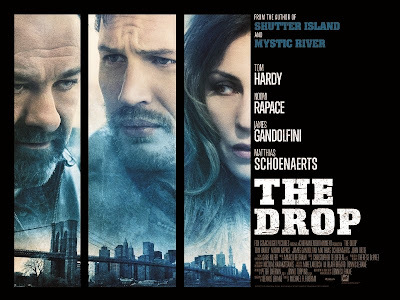 "The Drop" opens in theaters on September 12th. Check out the trailer and posters after the jump. 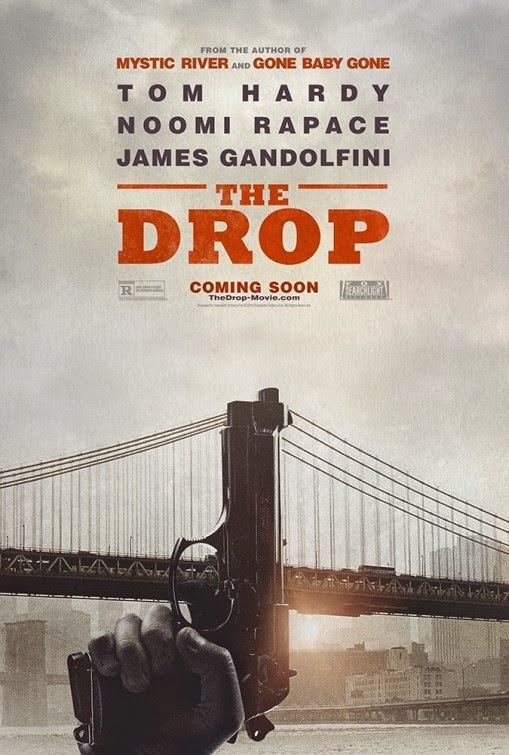 "THE DROP is a new crime drama from Michaël R. Roskam, the Academy Award-nominated director of BULLHEAD. Based on a screenplay from Dennis Lehane (MYSTIC RIVER, GONE BABY GONE), THE DROP follows lonely bartender Bob Saginowski (Tom Hardy) through a covert scheme of funneling cash to local gangsters – “money drops” – in the underworld of Brooklyn bars. Under the heavy hand of his employer and cousin Marv (James Gandolfini), Bob finds himself at the center of a robbery gone awry and entwined in an investigation that digs deep into the neighborhood’s past where friends, families, and foes all work together to make a living – no matter the cost."